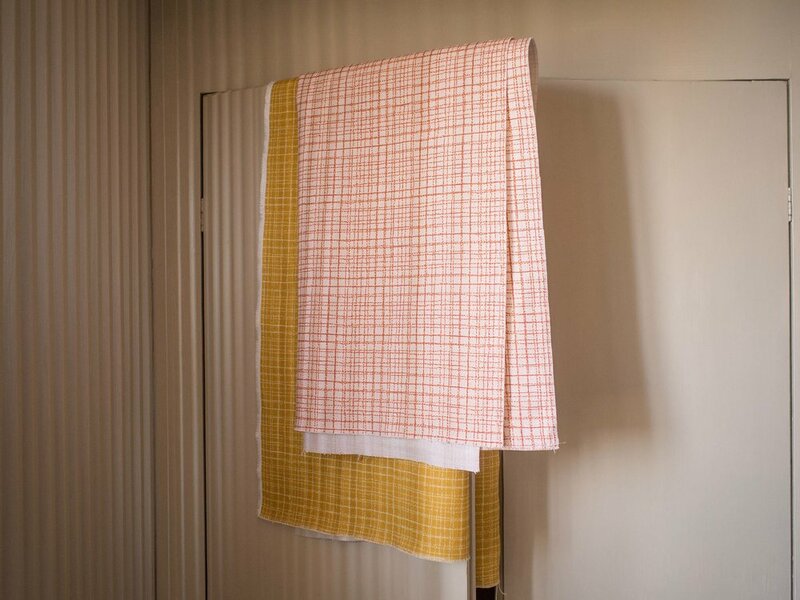 We source all our linens from Moygashel, a small mill village in County Tyrone, Northern Ireland. Moygashel Linens, our supplier, was established in 1795 and is recognised as weaving some of the finest linens in the world. All the linens are classified as upholstery linens, making them suitable for all kinds of home use including sofas and chairs, tablecloths, curtains and cushions. We currently print on two different linens, a 385gms natural semi-bleach and a 338gms oyster (almost white), both sourced from the same mill. The printing is done digitally in the UK, giving us the ability to offer a wide variety of colours while keeping our order quantities for the customer to a minimum. Because everything is printed on demand, this also gives the customer the ability to make special requests such as colour or pattern scale changes. There are limits to what we can do, but please get in touch with any requests you may have. 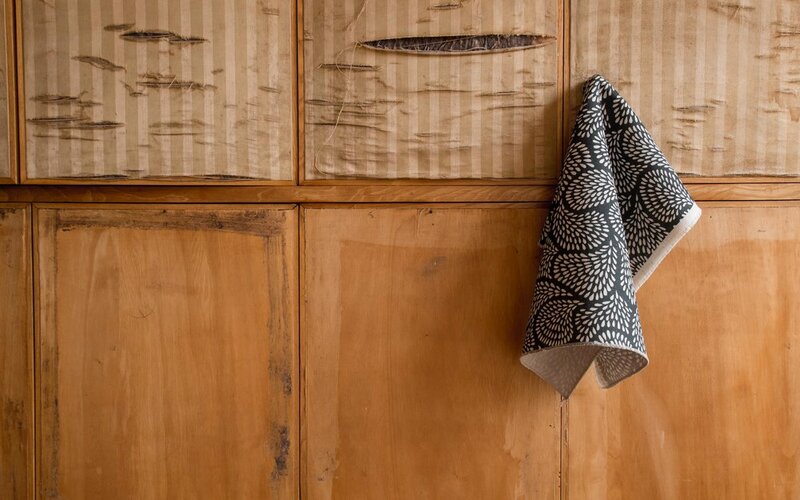 You can browse our collection of linens through our online store, as well as ordering samples. This also applies to different textiles. 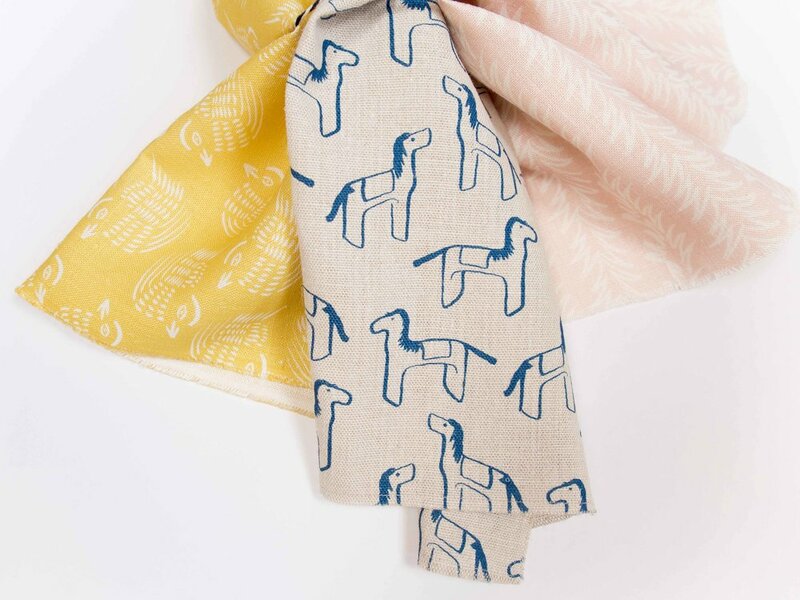 For our first collection of textiles we have focussed on linen, but we also have suppliers for a variety of other textiles, and our printer is equally capable of printing on whichever textile you require. Sustainability is of huge importance to our studio. We believe everything we design and produce should have as little environmental impact as possible, and are firm believers in producing products that last and do not contribute to the 'throw away' culture that many products live in. When deciding on the fabric to use for our debut textile collection, we researched many options covering cottons and blended fabrics. 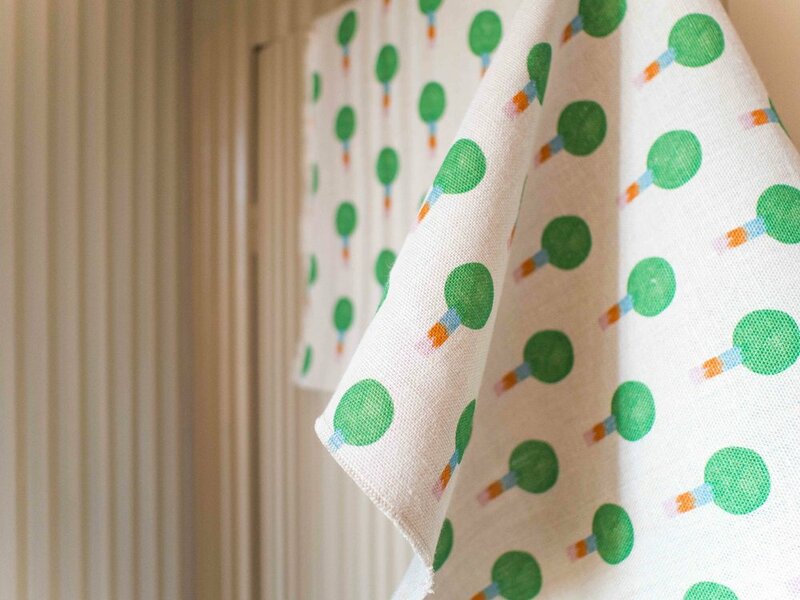 When looking at linen, as well as being a beautiful visual fabric, we were also struck by its sustainable characteristics that are often overlooked. Organic cotton is the main choice for many when thinking of sustainability, but we've put together a few points that we think give linen equal importance. - Linen production uses the whole plant, so there is no waste product whatsoever. - Growing linen requires less water than cotton, reducing it's environmental impact. 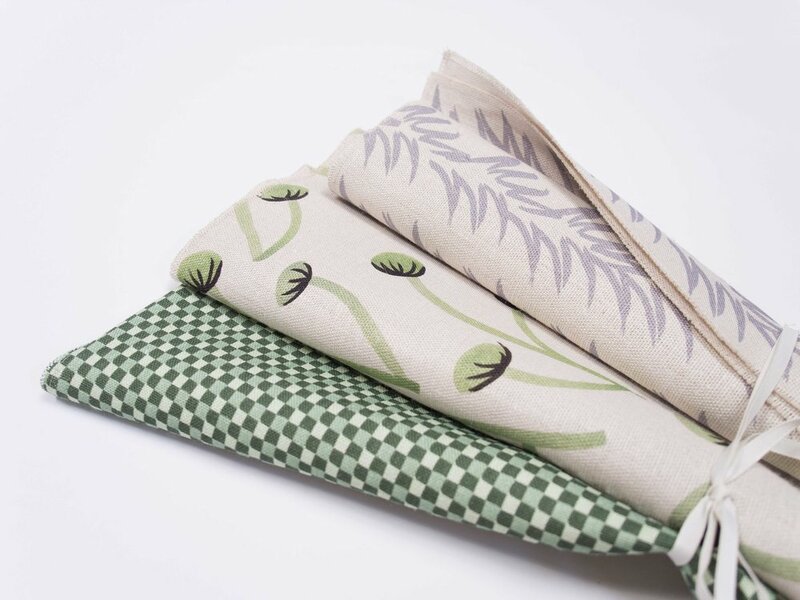 - Being a completely natural product, linen is 100% biodegradable. - Growing flax (linen) has a very low impact on the soil, meaning it is easily rotated into farming cycles with little impact. - Linen is a stronger fibre than cotton, meaning less starch is needed during the spinning and weaving process. - Another point on linen strength; because it is stronger than cotton, the same product made from linen will have a longer life than cotton.